PRIME SAFARIS & TOURS LTD is an indigenous East African tour agency organizing Gorilla trekking safaris & tours in Uganda, fully registered and licensed in Kampala Uganda. 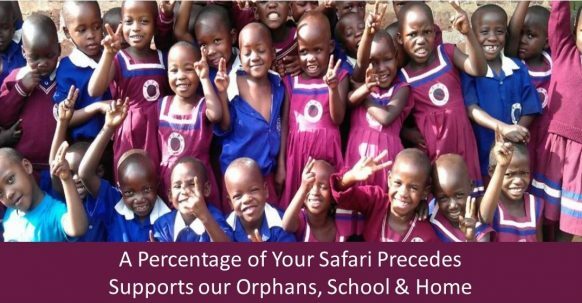 A percentage of our profits support the Christ Our Vision Orphans Care (COVOC) a family Christian church Orphanage taking care of orphans, vulnerable children & windows in Kalagi-Town Mukono District-The 2nd HIV/AIDS worst hit district of Uganda. We drive travelers’ interests providing them with their desired ultimate safari experiences in Uganda and all around East Africa. Our committed staff has offered excellent services to several group clients and individual travelers over the years, as well as promoting Uganda-the pearl of Africa as the world`s best tourist destination. Part of the profits generated from this agency boost the sponsorship of the orphans and all beneficiaries of the (COVOC) programs. Prime Safaris & Tours Ltd offers Uganda Safaris such as Gorilla tracking safaris and Chimpanzee Trekking, prime wild game tours, Mountain Climbing adventures, city tours, white water rafting, boat cruise trips, fishing trips, horseback riding, bird watching, Car hire and hotel booking. We run safaris in all the major Uganda National Game Parks and Reserves such as Murchison falls, Queen Elizabeth, Bwindi Impenetrable forest National Park(East Africa`s Mountain Gorilla safari Destination), mountain Elgon, Kidepo, Mgahinga and the Virunga mountain range etc as well as all other prime safari destination in East Africa based on your interests.